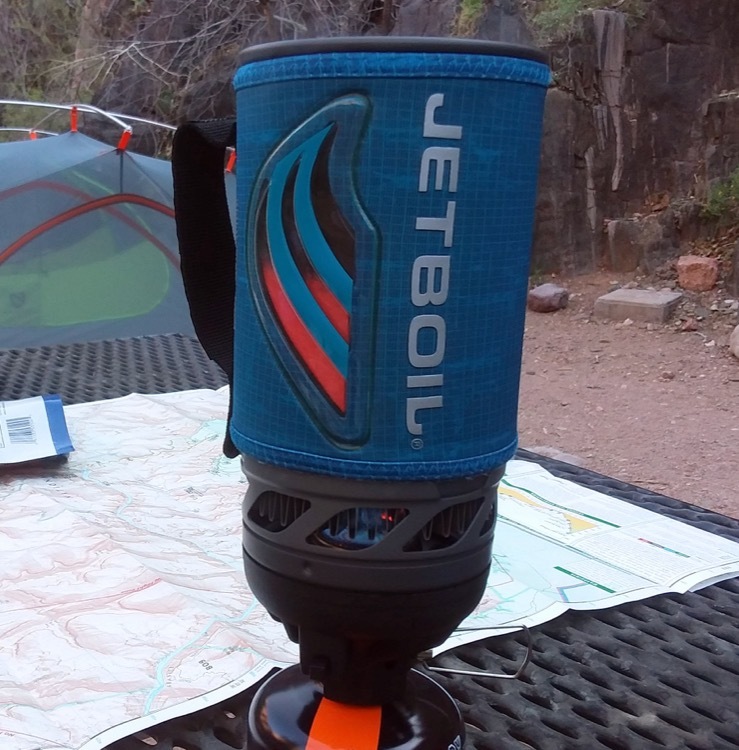 Basic summary: An extensively updated version of Jetboil’s iconic backcountry water heating system. The new Flash has design updates that make it more stowable, more ergonomic, easier and faster to use than previous editions. The new Flash is able to boil 2 cups of water in 100 seconds, which is a full minute quicker than its predecessor. Jetboil’s Flash Cooking System has become a staple of campers as well as backpackers for its light weight and ease of boiling water, which allows for dehydrated meals at night and coffee in the mornings. The 2018 version accomplishes the seemingly impossible task of adding power, improving ease of use, and decreasing weight. It has almost double the BTUs as the old version, boils water almost 40% faster, packs more easily, and weighs almost one ounce less. Most of the top to bottom revisions improve the convenience of use, starting with the flexible plastic lid, which is translucent to see through it if needed. Below that, the neoprene sleeve that wraps the cup has a heat indicator function that turns the “flames” orange when the water inside is ready to boil. The handle built into the sleeve has been revised a bit for easier gripping and pouring. Flames turn orange as water heats. The base of the system has been upgraded through the use of lighter aluminum in the base plate, which accounts for the decreased overall weight of the system. The base plate attaches and detaches from the cup with a twist and lock/unlock movement that secures in place and detaches easily. Another improvement with the 2018 Flash is the inclusion of the stabilizing tripod, which used to be sold separately. 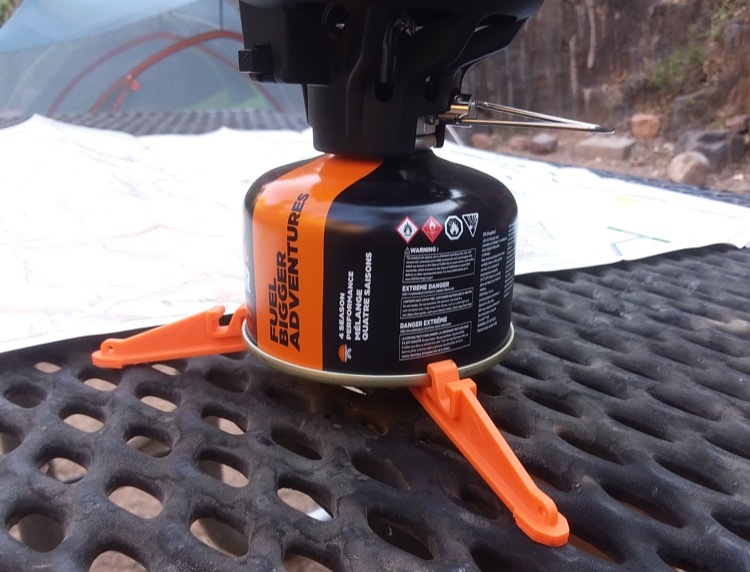 This tripod easily snaps in place with the fuel canister, making the whole system stable on irregular ground. Stabilizer tripod and fuel canister. From a packability standpoint, the entire Flash system is very efficient: the tripod, fuel canister, and base plate all fit into the main cup, with the top lid and bottom cover keeping all of the contents secure. The external shape and construction is quite smooth, so it’s easy to place into or out of a backpack without getting caught on other clothing or gear. If you’re fastpacking or jogging with the Flash in its packed mode, you’ll hear a bit of rattling inside, which we remedied by inserting a bit of paper towels to occupy the small amounts of space inside the main cup. The only design feature that proved a bit problematic was the neoprene insulation, which didn’t provide as much protection as we hoped for between our fingers and the boiling water inside the cup. If you grip the cup lightly, it’s not an issue, but when you need to grip it more tightly (for example, when twisting the cup off the base), you’ve only got a few seconds before it feels uncomfortable. Otherwise, the overall ease of use was quite impressive, from the intuitive setup to the easy ignition and flame control. The Flash provides a very convenient and compact means to expand your trailside food options, and it’s also the base system for a number of accessories sold separately to give you even more options if you have extra space to store them. 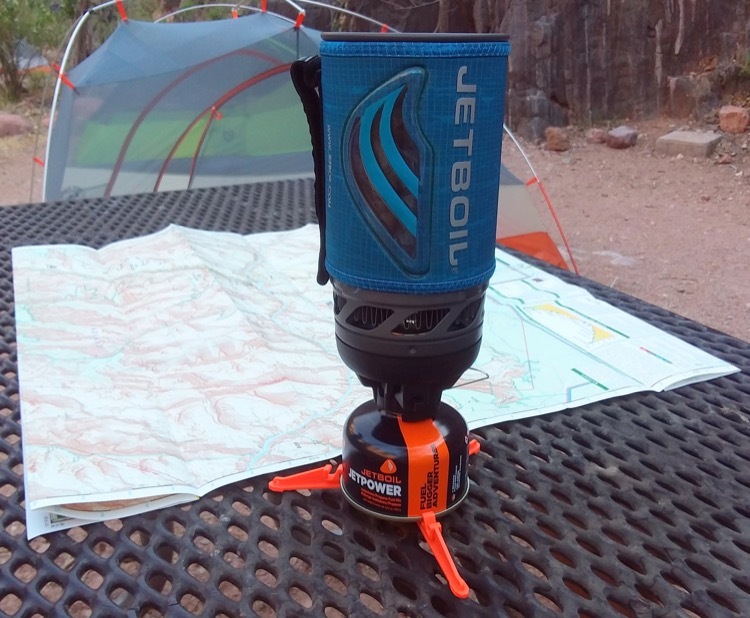 The Jetboil Flash is now available at www.jetboil.com as well as multiple other retailers.